Hopsin, that’s an interesting moniker — What does it mean? I am the hip-“HOP” “SIN”-ister — That’s where my name came from. Your style is quite interesting as well — How do you best sum up your sound? You are one of the first acts on the newly revamped, Ruthless Records — How did you end up signed to the legendary West Coast imprint? Well, I had my manager, Chyna, and Livio trying to find me a deal, and they happened to know a producer by the name of Damon Elliott. I have NEVER met anybody who was hyped over my music as much as Damon was. So, he and his business partner, Mike Sherman, took me over to meet (the late Eazy E’s widow,) Tomica (Woods-) Wright. We all went out for dinner, and she basically asked me questions like, “What can I bring to the rap game?” And, “What makes me different from every other Hip-Hop artist?” Stuff like that. Then, she came over to my basement and felt my vibe of how I get my music done and all that. After that, she signed me. So, for your upcoming solo debut, I understand that you never sought out any outside producers, and just did the whole thing by yourself — Is this true? I produced my whole album in my basement by myself. Damon Elliott mixed it. What did you mean by calling your CD, Gazing at the Moonlight? The title means that I gaze at the moonlight, hoping my dreams will one day come true. There’s a song on my album with the same title as the album also. The song describes how people sell their souls to get what they want in life, and I’m also telling people how I didn’t sell my soul to get where I’m at — It’s all raw, God given talent. From a lyrical standpoint, what do you base your rhymes on? I draw my inspiration from the old me who didn’t have a deal. The me, who was a loser and didn’t have any trustworthy friends; The me, who was heartbroken too many times; The me, who hated what Hip-Hop has become today. That’s where I get it from. Do you have a favorite record on the album? Well, my favorite song on the album is a song called ‘I’m Here.’ I like it the most because it was the last song I recorded for my album, and I feel it defines me the most. There is only one guest appearance on my album; my homie, DJK. We have been down since high school. So, when did Hopsin first become interested in music? I’ve always been interested in music since I was a toddler. But, I didn’t think about doing it seriously until I was around 15 or 16. I used to download instrumentals off of Napster, and make funny songs to them. Eventually, my lyrical skill started to build up a little, and I started writing more serious songs. Then I bought an $8.00 Wal-Mart microphone, and downloaded a program to record my vocals on ’cause I didn’t have any money to pay for studio-time anywhere else. Over the months and years, I eventually built a full recording studio in my basement. You hail from, where exactly? I’m from Panorama City. That’s where I was raised most of my life. Whose sound were you most influenced by? Some of my strongest influences were Busta Rhymes, Crooked I, D-12, Xzibit, Canibus, Method Man, Missy Elliott, Dr. Dre, DMX and Ludacris. Those are just a few. 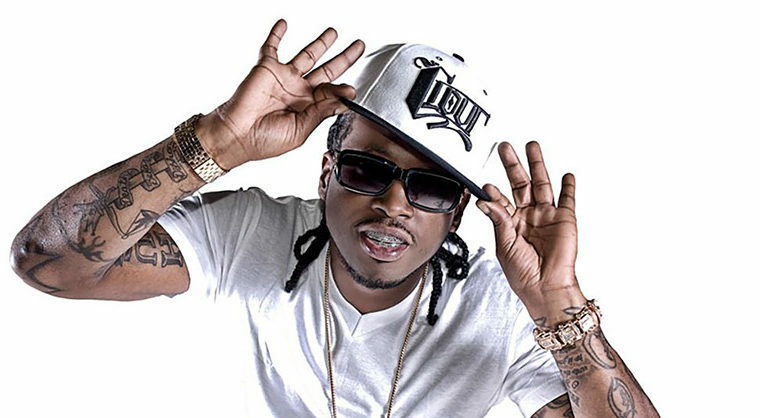 Did you always aspire to pursue rap professionally? I decided I wanted to do music on a professional basis when I was 17 years old. I realized I had some skills around that age. So, I had to make a choice; (to) either finish school and go to college and not become successful till I am like 30 years old, or spend 24-7 in the basement and pump out some ill music and try to become successful in my early 20’s. How will you maintain your longevity in Hip-Hop? That’s easy; I won’t get lazy like a lot of rappers do after they make all of their money. I will always make my music in the name of “Special Ed Hopsin in High School,” just like I have been doing. You also have aspirations in film, correct? Yes, I love making and editing films. I would like to have my own movie company one day. Well, that’s behind the scenes, but what about in front of the camera? I hope so. If the acting industry has a spot for me, I would love to take it. If it’s not too corny! I got my SAG card already ready, Ha, ha! How do you actually fit into the whole Ruthless Records’ legacy? N.W.A. had their own raw and original style, and now I am here to continue and do the same things, but in my own raw original way. Are there any other acts/label-mates to follow on the heels of your solo effort? Yes, there are a few, but I don’t want to bring their names into light yet because it is not time. 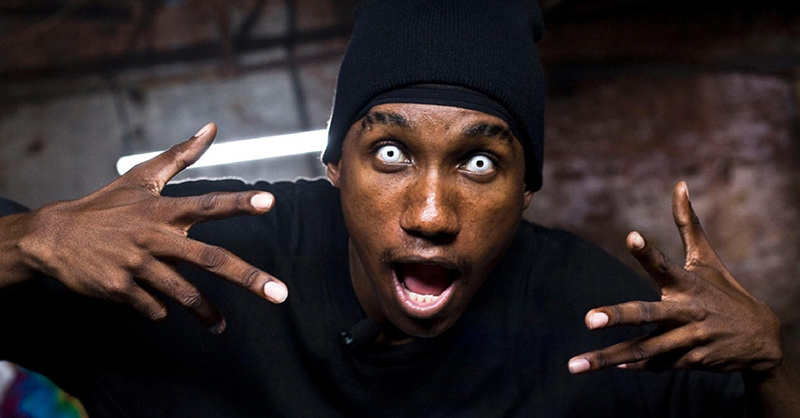 For those who don’t know you personally, who is Hopsin? I am a very humble and respectful person. I seek world peace, and I love nature and animals. What other things do you love? (You can) find me at some random spot in Cali, busting some tricks on my skateboard. What are your future plans in this business? 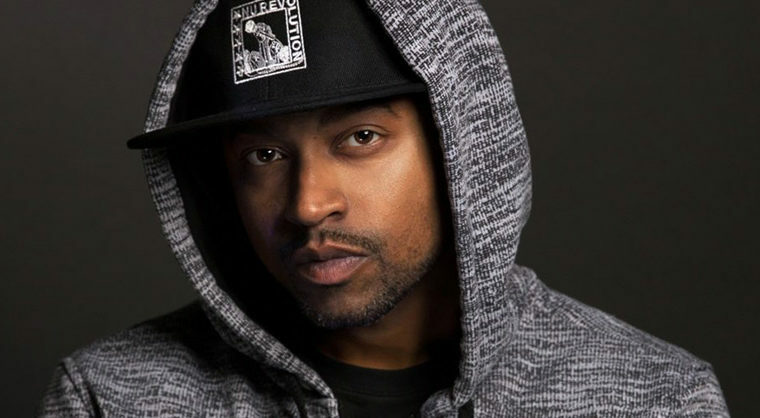 I see myself as a respected Hip-Hop artist who has made many improvements to the game and has a lot of knowledge, not just on music but life in general. My goal is to have a starring role in a movie that’s played on the big screen one day. That would trip me out if I ever saw me in a movie. Your debut single is due out soon, right? Funk Volume movement is coming soon, Pal!